What would be the delivery time for this headboard? Hi Phyllis! 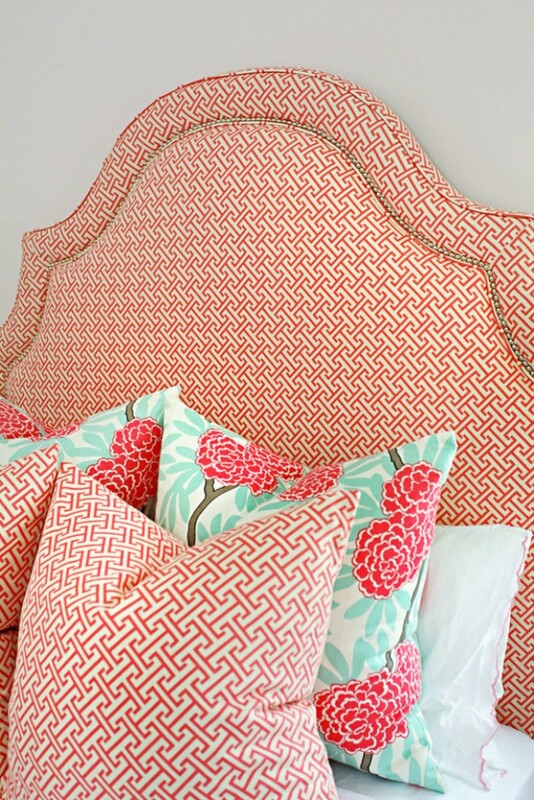 Headboards usually take 3-4 weeks. Let us know if you have any other questions! Hi! I love the overstuffed look of these pillows! Is the patterned print closest to the front the 24X24 size? If so, do you have a 26X26 insert in it to give it that fluffy look with the crease in the middle? I am going to order the navy deco pillow and want this same look so any advice is appreciated. Thank you!